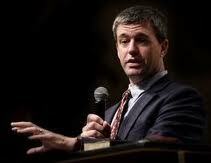 "The Society for the Preservation of Baptist Principles and Practices" (winner of best name for a pastors' fraternal) has just announced that Paul Washer, itinerate minister and leader of HeartCry Missionary Society will be the speaker for its meeting on Monday, September 13, 2010 at 10:30 am at Plantation Road Baptist Church in Roanoke, VA. Washer began moving his ministry to the Christiansburg, Virginia area this summer and will be planting a church in the vicinity. Bro Washer will speak in the first hour on the importance of preaching the Gospel. In the second hour he will share his ministry with us . There will be also a question and answer period. Anyone is invited to attend this meeting.